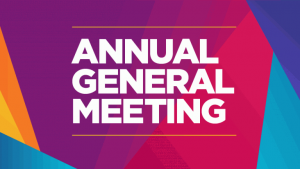 Do you wish to hold an "Annual General Meeting"? 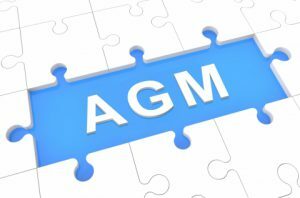 Do you wish to hold an “Annual General Meeting”? Hold the first annual general meeting within nine months from the date of closing the first financial year and if that is done, there is no necessity of holding any other annual general meeting in the year of incorporation. 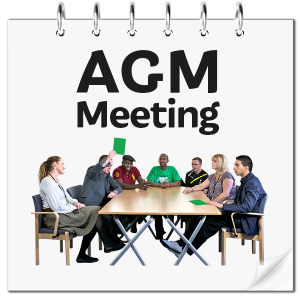 Thereafter hold the annual general meeting every year so that not more than fifteen months elapse between the two annual general meetings and such that the meeting is held within 6 months of the date of closing of the financial year. In case of delay for any special reason, make an application for an extension to the concerned ROC who can grant an extension only up to a period of three months. Convene a board meeting after giving notice to all the directors of the company as per section 173 of the 2013 act and approve the date, time, place, agenda, draft financial statements, directors report, notice of the meeting. Beware that every officer of the company whose duty is to give notice of the board meeting as aforesaid and who fails to do so will be punishable with fine of Rs.25, 000 as per section 173(4) of the 2013 act. This offense is compoundable by the regional director or any officer authorized by the central government under section 441(1)(b) of the 2013 act. The AGM should be covered during business hours i.e., between 9 am and 6 pm, the date should not be a national holiday and the place should be either the registered office or some other place within the same city, town or village in which the registered office of the company is situated unless an exemption in this regard has been granted by the central government. Note that if your company has been granted a license under section 8 of the 2013 act, your company is exempted from the provisions of section 96(2) of the 2013 act provided that the time date and place of each annual general meeting are decided upon beforehand by the board of directors having regard to the directions, if any, given in this regard by your company in general meeting. If at the annual general meeting approval of payment of dividend is to be considered, then consider the recommendation of dividend also at the board meeting. If the shares of your company are quoted on a stock exchange, inform the stock exchange about the board meeting where the recommendation of a dividend is considered. A national holiday is defined in the explanation to section 96(2) of the 2013 act. If the shares of your company are listed on a recognized stock exchange, then just after the board meeting intimate to the stock exchange the decision taken by the board with regard to the dividend and also the particulars of profit, tax liability, amounts appropriated from reserves etc. Also, note that as per clause 20 of the listing agreement intimation such be made on the date of the board meeting within 15 minutes of closure of the board meeting by letter or fax. 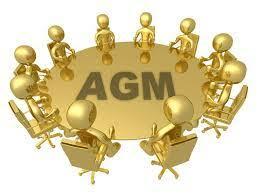 Specifically mentioned in the notice that the same is for the annual general meeting. 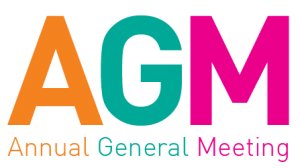 The notice of the annual general meeting should be in writing and should at least be given for twenty-one clear days and where it is to be sent by post it should be posted forty-eight hours still earlier. If your company is a listed company or a company with more than 1000 members, then ensure that the notice stating the day, date, time and place of the meeting and other particulars as specified in rule 20(4)(v) of the companies (management and administration) rules, 2014 is published in the principal vernacular language in a vernacular newspaper with a wide circulation in the district in which the registered office of the company is situated and in an English newspaper having countrywide circulation. Send notice and accompanying documents where it is sent through registered post or by speed post or by courier or wherever permitted by ordinary post (companies covered under item.no 16 above cannot send notice by ordinary post) at least 25 days in advance of the meeting and ensure that such notice is accompanied by an attendance slip and a proxy form with clear instruction for filing, stamping, signing and depositing the proxy form. Note that if your company has been granted a license under section 8 of the 2013 act, your company can call a general meeting by giving a notice in writing of not less than 14 days. The notice should specify the complete address of the venue of the meeting, date, hour and agenda of the meeting and explanatory statement should be annexed in respect of special business other than the four ordinary businesses for an annual general meeting as mentioned in section 102 of the 2013 act. A shorter notice may also be given if so consented to by 95% of the members entitled to vote, in writing. No format for shorter notice has been prescribed under the 2013 act or the rules while the 1956 act had specified form no.22A. The notice is to be given to all the members, to all the debenture holders, if any, to every person entitled to a share of the company in consequence of death or insolvency of a member, in every trustee of debenture holders and to the directors and auditors of your company, in the manner specified in section 10(3) of the 2013 act. If the shares of your company are listed on any stock exchange, send three copies of the notices and six copies of the directors’ report, balance sheet and profit and loss account to the stock exchange and a copy of each of them to all recognized stock exchanges in India. Hold the meeting and see that the quorum of five members, fifteen members or thirty members as may be applicable (unless the articles of association provide for a larger number) personally present in the case of a public company and two members personally present in the case for a private company are present. Remember that a meeting convened upon due notice should not be postponed or canceled. On the aforesaid quorum being present, transact the business as specified in the notice and ensure that the said quorum is present throughout the meeting. No business is transacted at the meeting if notice in accordance with secretarial standard 2 has been given and no item of business other than those specified in the notice is taken up for the consideration at the meeting. The secretary of the company reads the auditor’s report if there are any qualifications. Lay the financial statements before the annual general meeting. If the shares of your company are listed on a recognized stock exchange, then send a copy of the proceedings of the annual general meeting to the stock exchange. File three certified true copies of the financial statements with the concerned ROC together with three copies of all documents which are required to be annexed to them within thirty days from the date on which they were so laid in e-Form. No. AOC-4 corresponding to Form. No.23AC. after paying the requisite fee in the manner given in the table of fees annexed to companies (registration of office and payment of fees) rules, 2014. Copy of financial statements, duly authenticated as per section 134 of the 2013 act and all the documents required by the 2013 act to be annexed to such financial statements. If AGM hasn’t been held by the company, need to attach a copy of the statement of fact and a reason for the same. A statement containing salient features of its subsidiaries as per the first proviso to section 129(3) of the 2013 act. The term subsidiary for the purpose of section 129(3) of the 2013 act includes associate company and joint venture as per the explanation to the said section. 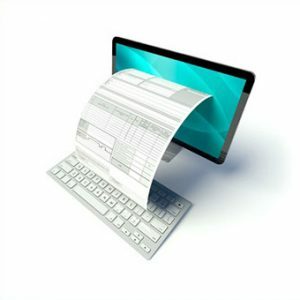 Ensure that the said e-forms are digitally signed by the managing director or director or manager or secretary of the company duly authorized by the board of directors and further ensure that the said e-form is certified by a chartered accountant or a cost accountant or a company secretary in whole time practice by digitally signing the said e-form. File with the concerned ROC within sixty days from the day on which the annual general meeting is held an annual return containing the particulars specified in section 92(1) of the 2013 act in e-form.no.MGT-7 after paying the requisite fee annexed to the companies (registration of offices and payment of fees) rules, 2014. File the said e-form no. MGT.7 in electronic mode and file with it the following as attachments. Duly signed annual return prepared and authenticated as per section 92 of the 2013 act read with rule 11 and 12 (2) of the companies (management and administration) rules, 2014. If an extension is granted for the financial year or AGM then approval letter for extension of a financial year of AGM. If there is any special resolution passed in the meeting, then file e-form MGT-14 with the concerned ROC within thirty days of its passing after paying the requisite fees prescribed under the companies. See that the said e-form is filed electronically and the copy of the special resolution and the explanatory statement are filed with the said e-form as attachments. Ensure that the said e-form is digitally signed by the managing director or director or manager or secretary of the company duly authorized by the board of directors. Further, ensure that the said e-form is certified by a chartered accountant or a cost accountant or a company secretary in whole time practice by digitally signing the said e-form. Note that if a default is made in complying with the aforesaid requirements, the company and every officer of the company who is in default will be punishable with fine which shall not be less than Rs.5, 00,000 but which may extend to Rs.25 lakhs. Also, note that if a default is made in holding the annual general meeting in accordance with section 96 of the 2013 act. The company and every officer of the company who is in default will be punishable with fine up to Rs.1,00,000 and in case of continuing default with a further fine up to Rs.5,000 for every day after the first during which such default continues. Further note that the offenses mentioned in item nos.6, 40 and 41 are compoundable under section 441(1)(a) or (b) of the 2013 act depending on the total amount involved. If the amount does not exceed Rs.5 lakhs then the offense is compoundable by the regional director or any officer authorized by the central government under section 441(1)(b) of the 2013 act. If the amount exceeds Rs.5 lakhs then the offense is compoundable by the tribunal. This section is yet to be notified and corresponds to section 621A of the 1956 act. As per section 121 of the 2013 act, a report on the annual general meeting is required to be filed by every listed company within 30 days of the annual general meeting and in default a fine on the company of an amount not less than Rs.1 lakh which may extend up to Rs.5 lakhs and every officer of the company who is in default shall be punishable with a fine which shall not be less than Rs.25000 but which may extend to Rs.1 lakh. This offense is compoundable under section 441 of the 2013 act. Further note that a company can open and revise its accounts or financial statements under section 130 or 131 of the 2013 act even after adoption in the annual general meeting and filing with the ROC as aforesaid, in order to comply with technical requirements of any other law to achieve the object of exhibiting true and fair view but such revised financial statements would be required to be adopted either in the extraordinary general meeting or in the subsequent annual general meeting and filed with the ROC. PARTICIPATING, RULES FRAMED UNDER CHAPTER OF COMPANIES ACT, 2013: MEETINGS OF ITS POWERS AND BOARD.